Absinthe is a spirit surrounded by myths and falsehoods. Absinthe was banned in the US in 1912, seven years before Prohibition and only became legal in 2007. The reason for the ban is the presence of a chemical called thujone. In the early years of the twentieth century a French scientist conducted experiments with thujone that showed that it was toxic and seemed to cause hallucinations in dogs. However, the experiments used pure thujone and the levels in Absinthe are low. For a person to feel the symptoms of thujone poisoning they would need to have drunk four bottle, by which point alcohol poisoning would probably have ended the experiment. Despite the poor science, Americans were deprived of the drink for nearly one hundred years. One of the first American distilleries to make Absinthe after the ban was lifted was St George distillery in Alameda; about whom we recently blogged. I use their Absinthe in my cocktails, but any of these recipes should work with any good quality version of the spirit. Absinthe is made from wormwood, fennel, and anise. (California Girl Comments: That doesn’t sound like my dream combo there..) The last of these ingredients gives the spirit its distinct taste of licorice. Wormwood is the component that is responsible for the thujone. Absinthe tends to be sold at a higher alcohol content that typical spirits. The aforementioned St George brand is 60% ABV; compare this to the typical 40%. Stories of the ill effect of Absinthe are probably as much due to the strength as to the presence of hallucinogens. 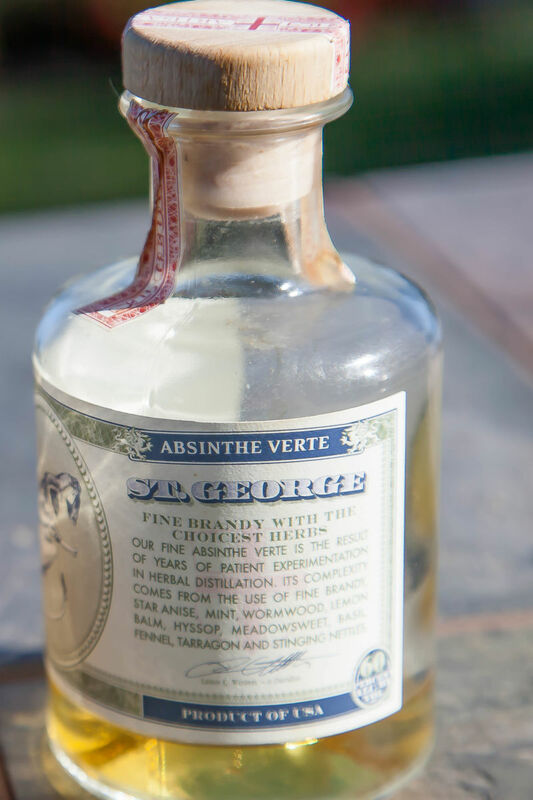 The traditional way of drinking Absinthe is to pour a shot into a glass, put a lump of sugar on a flat, perforated spoon and dripping water over the cube. This results in a sweetened and diluted drink. The perforated spoon is called an Absinthe spoon, in recognition of its most common use. I do not possess such a spoon, so I have not drank it in this manner. However, there are a couple of cocktails that I like which use Absinthe. The Sazerac is one of the three classic New Orleans cocktails. I have written about the Vieux Carré in a previous post and we mentioned in passing an Hurricane. The Sazerc is an Old Fashioned variation which adds Peychaud bitters and Absinthe. It is a drink that has a simple list of ingredients, but gains complexity from the method of preparation. Stir the contents and strain into the Absinthe rinsed glass. 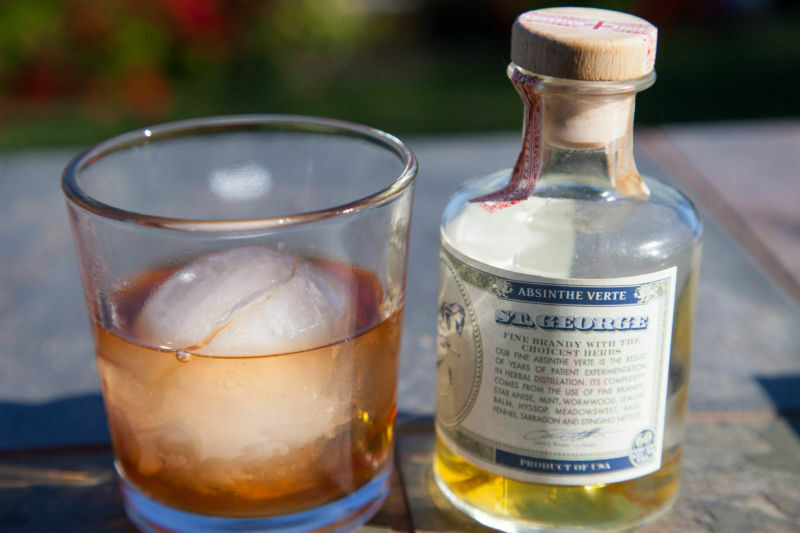 Even though the amount of Absinthe is tiny, the drink has a distinct flavour from the anise. The first time I tried to make this drink, I had too much Absinthe and I drank something that was like a licorice all-sort dipped in booze. Made correctly the anise is a subtle hint. My other Absinthe cocktail is Death in the Afternoon; apparently a favorite of Ernest Hemingway. It is claimed that he used to consume three to five of them in a single sitting. The name is accurate and I felt the impact after one glass. 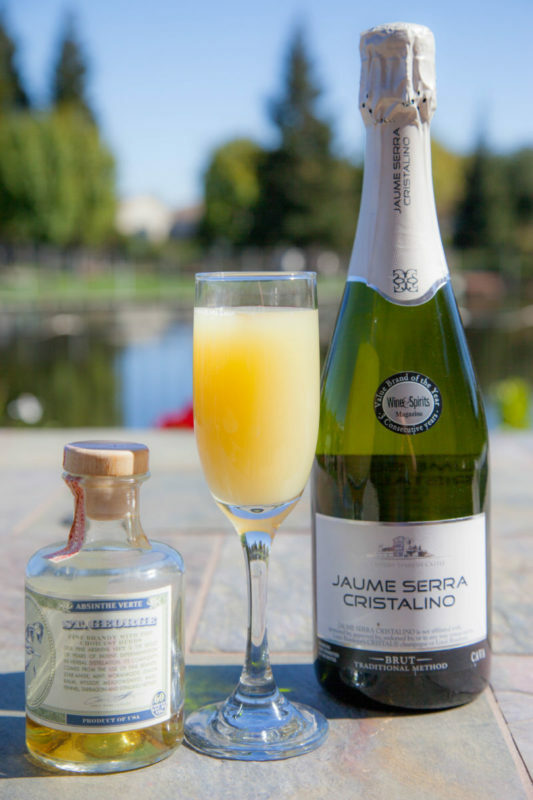 I used Cristalino Brut Cava. The result is a cloudy, sparkling wine with an overwhelming nose of licorice. California Girl Comments: I can’t stand the taste of licorice or anise or any of the above. Blech. Just smelling this stuff wasn’t pleasant for me. The Brit has no worries about me stealing his cocktails made from absinthe.